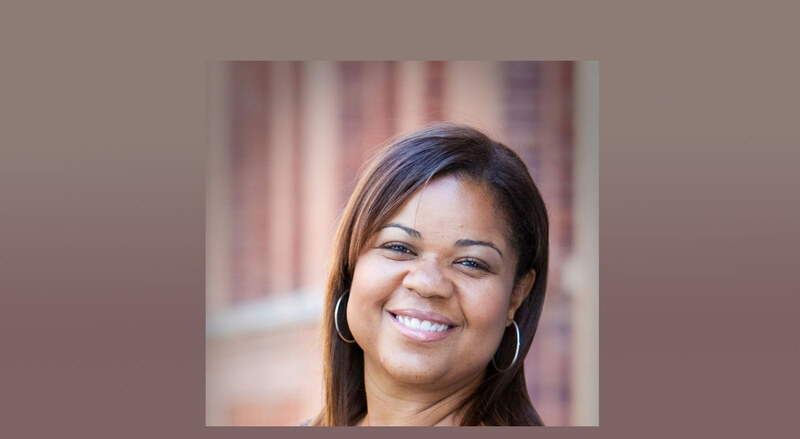 NEW YORK, NY– December 5, 2018 - The Board of Trustees for Oliver Scholars, a New York City nonprofit organization serving high-achieving Black and Latino students, announced today that it has appointed Dr. Danielle R. Moss as Chief Executive Officer, effective January 2, 2019. Dr. Moss will succeed Interim CEO Chantal Stevens, who was instrumental in leading Oliver Scholars for the past several months. Ms. Stevens will remain with the organization to support Dr. Moss during a transition phase. Dr. Moss brings over 20 years of experience in college access and education to Oliver Scholars. She is a vocal proponent of expanded educational access for underserved communities, most recently as Chief of Staff of the New York Civil Liberties Union. Her full bio is available here. "I am incredibly honored that the Oliver Scholars Board of Trustees has selected me to lead the organization during an important period of growth. Oliver Scholars has a rich and meaningful tradition of creating community, nurturing intellect, modeling inclusivity, and fostering leadership among its students and Alumni. I couldn't be more excited about joining this community and leveraging my years of experience, insight, and personal commitment to the mission. Oliver Scholars is doing transformational work as a reflective and thoughtful partner with communities, families, schools, and young people who are committed collectively to ensuring that our students have access to educational opportunities that make success and opportunity inevitable. I can't wait to reach out to all members of this amazing community to help further institutionalize our work together and to strengthen our movement." Founded in 1984, Oliver Scholars is distinctive among access programs for its commitment to providing transition support for the whole family, developing students’ social-emotional skills, and instilling an ethos of giving back. The Oliver experience includes up to 10 years of one-on-one support, after-school and summer coursework, and pre-career training. Dr. Moss previously served as President and CEO of the YWCA of the City of New York and the Harlem Educational Activities Fund. She was appointed by Mayor de Blasio to New York City’s Commission on Gender Equity and serves on the Board of Directors of The New York Women’s Foundation. Her contributions to education and the social sector have been recognized by the New York State Education Department and the Office of the New York City Comptroller, among others. In 2015, The Network Journal named her among the 25 Most Influential Black Women in Business. In the summer of 2016, she was featured in Corner Office, a regular column in The New York Times, and in Crain’s New York. Dr. Moss has contributed to The Daily Beast, The Huffington Post, Edutopia, The Amsterdam News, and City Limits Magazine. In 2018, she was invited to TEDWomen to give a talk on college access. Dr. Moss holds M.A. and Ed.M. degrees from Teachers College Columbia University, where she also completed her Doctorate in Organization and Leadership with a focus on Education Administration. She received her B.A. from Swarthmore College as a double major in English Literature and History, with a concentration in Black Studies. The Board of Trustees engaged the firm Schall & Russo and launched the CEO search in April 2018. The firm developed a position specification after comprehensive interviews with Oliver staff, trustees, life trustees, families, and other stakeholders. For press inquiries or more information, contact: Gail Cooper, Director of Marketing and Communications, at 212-430-5980 ext. 1112. About Oliver Scholars: Oliver Scholars prepares high-achieving Black and Latino students for success at the nation’s best independent schools and colleges. Oliver identifies talented, under-resourced New York City students and places them at top schools with robust financial aid. The Oliver experience includes up to 10 years of one-on-one support in middle school, high school, and college, along with after-school and summer coursework and pre-career training. Oliver Scholars, a Gold-Level GuideStar nonprofit organization, is distinctive among access programs for its commitment to providing transition support for the whole family, developing students’ social-emotional skills, and instilling an ethos of giving back. Nearly 90 percent of Oliver Alumni have attended U.S. News & World Report top-100 colleges, and over 30 percent have attended Ivy League institutions. Since its founding in 1984, Oliver Scholars has graduated over 1,000 students. By removing economic and social barriers to achievement, Oliver Scholars helps gifted, underserved students achieve their potential as next generation change-makers, thought-leaders and trailblazers. For more information, visit: www.oliverscholars.org.